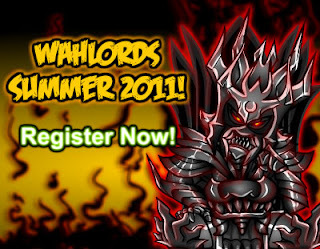 Champion of Wahlords Summer 2011! benjaminchua98 and petezZ are right behind as the 1st and 2nd Runner-up respectively. freacs paved way towards victory with a barrage of zombies to take the first round off benjaminchua98's hands. It was a closely contested 2nd round till freacs made another decisive mode that won him the championship. benjaminchua98 regained his 1st Runner-up in the Wahlords Summer series having won previously in 2009.
petezZ, a regular Wahlords campaigner, made it to 3rd place over shinchi4869_017 who was under immense pressure to help retain his club's emblem. More details of how the finals panned out can be found here. Thanks all for being patient, the finals ended on a good note despite the rough start. Badges and prizes have been given out. The Wawa part(check under Toy section) and summoners have been awarded to all finalist who made it to the finals.